An USA judge has ordered, on Monday 06/22/2009, a detainee in Guantanamo, the Syrian Abd Al-Rahim Abdul Rassak Janko, 31, to be released saying he was a captive, and not a follower, of the Taliban. Abd Al-Rahim Rassak is a Syrian national, who was imprisoned by Al Qaeda in Kandahar, Afghanistan, in summer 2000, and possibly tortured, since they suspected him of being a Western or Israeli spy before being captured by American forces in 2002. Abd Al Rahim was one of nine former Taliban prisoners the Associated Press pointed out had gone from Taliban custody to American custody. However, the USA government said that Abd Al-Rahim Rassak had a pre-existing relationship with Al Qaeda and maintained connections with them even after he was tortured. The claim is based on a video cassette found in Afghanistan in the rebels of Mohammed Atef’s home, on 01/14/2002, and filmed after operation Absolute Justice, in 12/2001, in which Abd Al-Rahim Rassak spoke of dying as a martyr (see – Atef’s Footages). 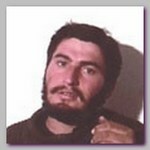 Therefore Abd Al-Rahim Rassak was placed in the FBI most wanted terror fugitives three days later, on 01/17/2002. He was removed from the least on 02/02/2003. Abd Al-Rahim Rassak claimed he was forced to be filmed by Al Qaeda. Further investigations showed that the tapes actually showed al-Qaeda members torturing him. The judge said the government and the US media initially mistook Rassak as one of a number of would-be suicide bombers based on videotapes captured.